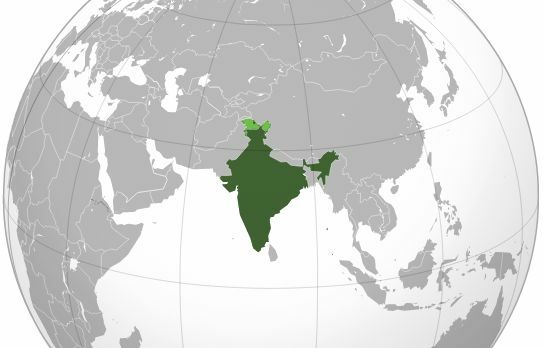 […]Delhi is by far the BBC’s number one international bureau with over 120 people. This will more than double to 300 by autumn as the language expansion begins. The BBC is all set to produce daily newscasts in Telugu, Gujarati, Punjabi and Marathi (in addition to the existing Hindi, Tamil and Urdu), which will be distributed through local TV partners. It will also be expanding its online presence in these languages. Click here to read the full interview at Rediff News. This entry was posted in Broadcasters, News and tagged BBC, India, Jonathan Marks on August 3, 2017 by Thomas. Opps – I intended to say “around midnight Sydney time” – I stumble across them while scaning Asiasat 5 late at night – so it’s around that time! I may be off by and hour or so! The existing Hindi, Tamil and Urdu newscasts are delivered to their local partners via AsiaSat 5 at 105.5 East. BBC World service have two video feeds and 27 radio channels on transponder C13H on 4132 H 10587 2/3 in DVB-S2 format. All the channels are free-to-air. The Hindi, Tamil and Urdu newscasts run midnight Sydney time (where I watch them) this is peak evening viewing time on the subcontinent – 7:30PM in New Delhi. I expect the new languages will light up here as well.